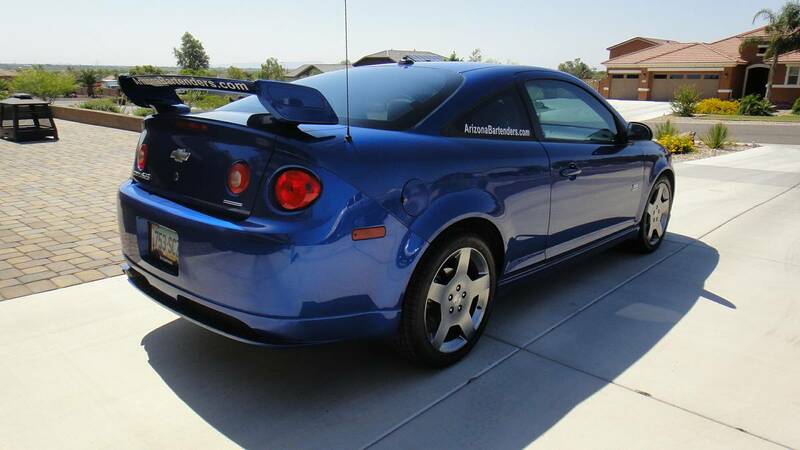 This bright blue Cobalt comes from the Supercharged era of performance (most superchargers have been replaced with Turbochargers for various reasons, mostly fuel economy and emissions related) and the 2.0 liter Ecotec 4-banger is boosted to make 205 horsepower and 200 ft-lbs of torque. A peek inside confirms the presence of a 5-speed manual gearbox, which, combined with the supercharged engine transforms the little GM econobox from mild to wild. These really are fun cars to drive in the most basic sense -- torque steer, wild one-wheel burn outs, and a flickable chassis combine to make a great car to hate-thrash...or autocross. it is a pretty tone of blue for sure. 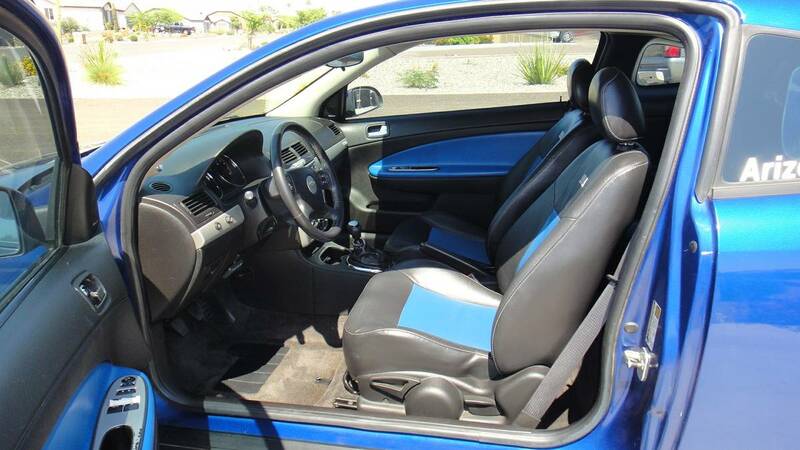 For 5k it seems like a fun car. I bet it would give my 330i a run for it's money. I will note that the later LNF turbo Cobalt SSes are a substantial improvement over the supercharger cars, not just because of the extra 55HP but because they went through the chassis with a fine-toothed comb. It got a lot of later Cruze front suspension parts, it was available with a Quaife LSD, and in that configuration it held (may still hold, not sure) the FWD lap record at the Nordschleife. The material quality was Cobalt, but the control weighting and travel were German in their consistency and balance, and it was a far nicer thing to drive than anything else in its class that I had my hands on including Golfs and the Mazdaspeed3. I would remark that 'well, this happened because most mechanical engineers are male, and no guy runs around with every key he's ever collected since fourth grade on his keyring' but that'd be sexist. 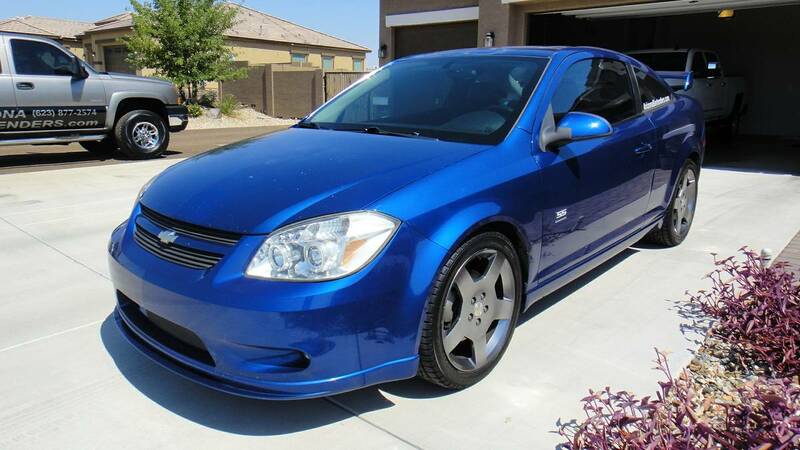 I wish that whole thing had depressed prices a bit more on a four-door turbo SS, metallic red or blue, with the LSD.